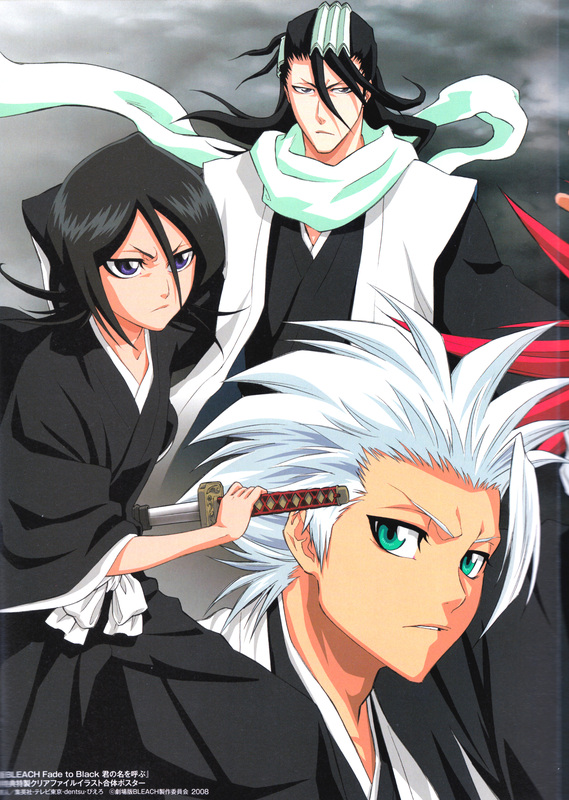 Byakuya, Rukia and Hitsugaya all in one... :) part of the movie guide. This is the best! Rukia looks so beautiful! Absolutely love her! they all beautiful! very nice scan! All such frosty characters...though they're pretty feisty too. wo i love this scan too. basically i love all the movie scans. i always wonder what Rukia's sis and Byakuya relationship are like and i totaly 4got how she died. ohh lalala! my top 3 fave characters all in one picture! awesome scan. nice work tite kubo for the great artwork! nice scan. thank you for the upload! Byakya and Toshirou really bad boys xD thank you for sharing.